Making and Using an Astrolabe (a Paper one, at least). Astrolabes are ancient astronomy & navigations instruments mostly used to measure the angle an object in the night sky is above the horizon (or the sun and Moon during daytime). 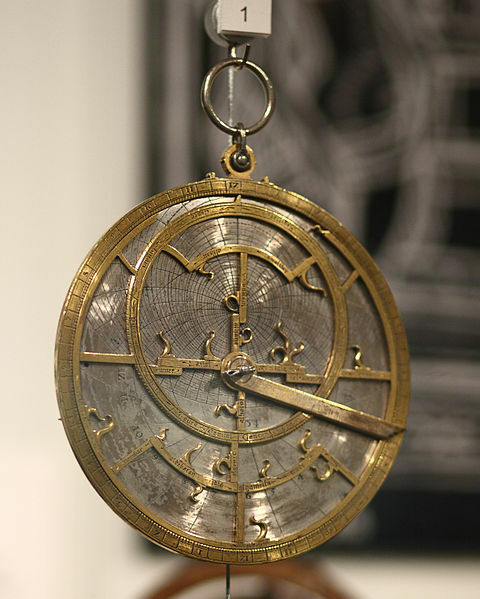 They were invented in Greece but were much improved and developed in the medieval era by Muslim astronomers. They were wonderful and artistic instruments, but for most people making their own version isn’t likely to happen as they are not trained brassworkers. The Price of Rare Earth Neodymium Magnets – Further Falling but not crashing. 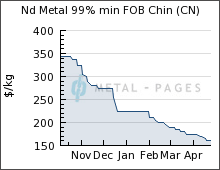 It has been slightly over a year since we last looked at the price of Neodymium (the rare Earth used in making powerful magnets) and at the time we were watching the price take a nose-dive as speculators went for profit-taking, US and Japanese facilities were being brought on-line, manufacturers source other materials and on the consumer end, many rare-earth based toys were strongly modified, or in the case of the most popular Rare-Earth Magnet Toy, BuckyBalls, outright destroyed by safety concerns. In our last blog post, 10 fun facts about Magnifiers, we mentioned one feature of magnifiers (or any lens, really) but kind of glossed over it. 10 Fun Facts About Magnifiers! 1) Did you know that if your eyes can only focus to within about 6″ in front of them? Anything closer will be blurry. If your eyes could focus you would not need magnifiers! 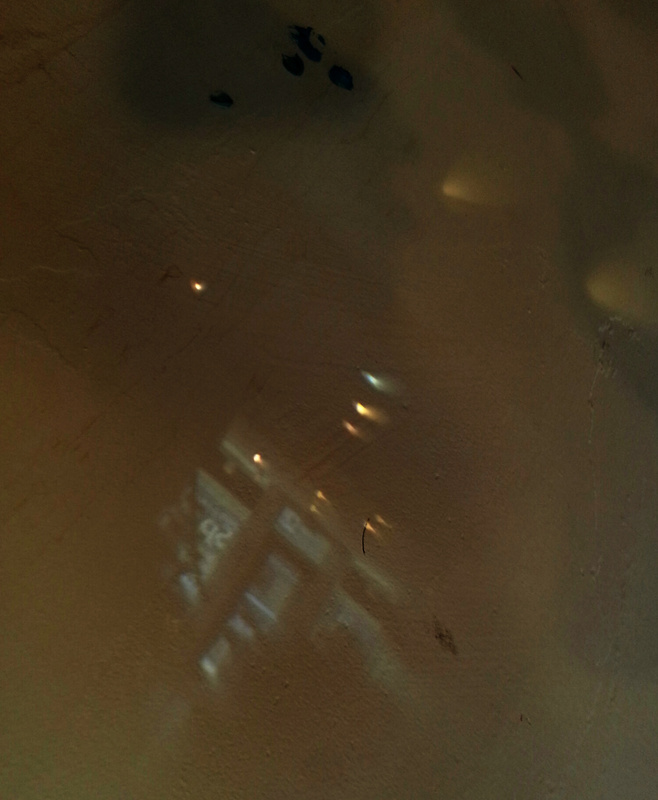 2) Magnifiers, sadly, are perhaps the optical product most likely to be abused with false specifications. Many imported magnifiers will list much higher magnifications that they are actually producing. They aren’t bad magnifiers, but they are listed incorrectly all too often. Buyer beware! 3) A simple rule: The higher the magnification, the smaller the lens on the magnifier will be. The smaller the lens, the closer it will need to be to what you are viewing! In other words, if you have a 10 power magnifier, it will be fairly small in diameter and will need to be very close to whatever you are viewing to properly focus. 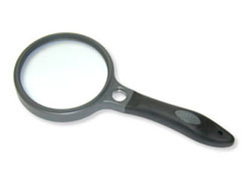 4) Magnifiers can have glass or plastic lenses when they are large. Glass is heavy but durable. Plastic is lighter but can scratch easily. 5) Your magnifier can act as a little projector of sorts – if you have a bright window you can make an image of what is outside that window by holding the lens a little bit away from a wall on a darker area of the room. 6) Although almost all lenses used in magnifiers are Double-Convex Lenses (but see below), there is a design called a Fresnel Lens that uses ridges in a plastic sheet to magnify. 7) Some more advanced magnifiers use combinations of lenses, usually 2 or 3, to make the magnified image. The image is usually much better with these lenses than with a single lens. Especially at higher powers. Magnifiers that use 2 combined lenses are called Doublets, while those that use 3 are called Triplets. 8) Some designs of magnifiers are becoming obsolete – there used to be a whole class of magnifiers designed to examine film negatives in their reduced state. With the advent of digital photography they are no longer needed. Mind you, there is also a class of magnifier called a ‘Linen Tester’ that should also be obsolete but found a market in publishing and other fields. 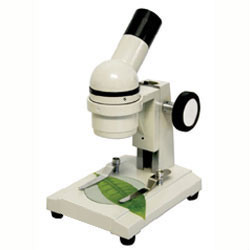 9) There is some overlap where magnifiers should leave off and microscopes should take over. Although they are two different designs optically they tend to overlap in magnifications from 10x-20x. Per fact #2 you should be wary of any magnifier that claims to give microscope range magnifications. 10) Yes, you can concentrate light through a magnifier to light a campfire, but it needs to be decently sized! You need a lot of surface area of light to concentrate for it to work. A pair of reading glasses won’t work and glasses for people who are nearsighted are the wrong type of lens. Sooo, interested in buying magnifiers? So You Want to Launch Model Rockets? Well that’s good, because model rocketry is one of those hobbies that is much enjoyed by parent/child. It is easier to do than ever, is lots of fun, and actually quite safe! Times were that it was not always so. In the past the major builder of rockets, Estes, was a bit troublesome to deal with. 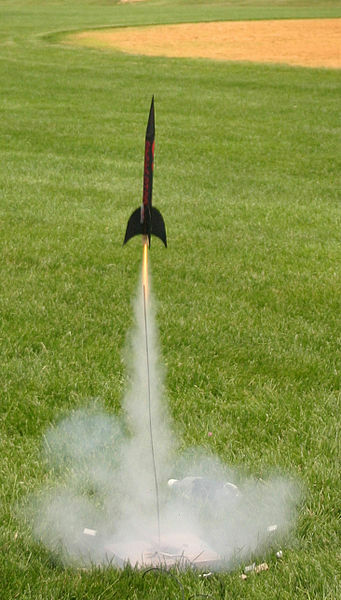 The company had been formed in 1958 when they developed a machine that mass-produced model rocket engines. This revolutionized the hobby since in the past rocketeers had to either make their own rocket engines or buy expensive, unreliable produced ones. Soon Estes were building and selling parts for models rockets and dominated the market. Rocket kits soon followed along with lots of other accessories. It’s New! It’s Thin! It’s the…Pocket Monkey! OK, little flat wallet multi-tools have been around for a long time, so why on Earth would we be interested in carrying another one? Well, two reasons: 1) The design of the older tools has not changed in ages, so your multi-tool really hasn’t had anything new added to it in decades and 2) The older models really were not very thin! They were often 2mm or more thick which made them actually kind of hard to put in your wallet. But now comes the Made in the USA Pocket Monkey!